Thoughts on the military and military activities of a diverse nature. Free-ranging and eclectic. Thanks to several sources consider the extreme wealth of those Roman generalissimo during the Imperial period. Generalissimo as I understand the word to mean a combat commander who also wields political power of an almost absolute nature. First from the book: "The Fall of the ROMAN EMPIRE The Military Explanation" by Arthur Ferrill. "A recent estimate puts the annual military budget of the Roman Empire in the the second century at 450 million to 500 million sesterces. Although there is no way to which ancient Roman coinage can be converted into its equivalent in modern U.S. dollars [USD], some idea of the amounts involved here can be derived from a few comparisons. Perhaps the most telling one is that there were individual Romans in the first century who had private fortunes of nearly this amount. In the first century B.C. 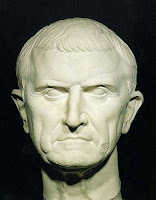 Crassus had a private fortune of 200 million sesterces, and Caesar and Pompey eventually probably had much more." That conversion of ancient Roman coinage into modern value however easier than assumed? A sesterce in the time of ancient Rome would buy you two loaves of bread. Two loaves of bread today worth about $4 USD. By modern standards Crassus nearly a billionaire and Caesar and Pompey easily billionaires. "Following Pompey the Great’s triumph on Dec. 29, 71 BC for his victories in Spain, he held a banquet, which opened with appetizers that included 5,000 specially raised thrushes, worth 3 denarii each, or nearly a week’s pay for a legionary soldier, a good bit of change for the Roman equivalent of Buffalo wings." "A denarius (or 'penny') was what an agricultural worker typically was paid for one day's labor (Matthew 20:2). If we assume U.S. minimum wage for 10 hours, that would be $72.50 USD currently ." That cost for the thrushes alone about $1 million USD total. Any of those devoted readers to the blog have a problem with my monetary calculations and assumptions? Let me know. Aviation of the German kind! 1938! An image as taken by myself at the United States Air Force Museum, Dayton, Ohio, USA. German warplane [?] in the foreground a German SG 38 glider from the inter-war years. That most basic and rudimentary instruction and flight experience for German youth as was available during that period. Sub rosa intention to train the cadre of future pilots for the ever expanding Luftwaffe. "GERMAN GLIDER TRAINING / SAILPLANES WWII ERA HISTORIC FILM 74232"
"This historic German educational film shows flights of sailplanes or gliders. After World War I many gliders were built for sporting purposes in Germany, because of post-WWI regulations forbidding the construction and flight of motorized planes. As a result the country's aircraft enthusiasts often turned to gliders and were actively encouraged by the German government, particularly at flying sites suited to gliding flight like the Wasserkuppe. Strangely enough [?} SG 38 still flying but not launched in the manner as would have been the case in 1938. From the Internet web site SPLOID we see a Go-Pro9 video of the glider as towed aloft to a relatively high altitude and then released. An ultra-light without motor. Wasserkuppe still going strong many decades later. The tradition continues. Yet one more blog entry as inspired by a visit to the United Air Force Museum, Dayton, Ohio, USA! Before there was the V-1 there was the Kettering Bug! "The American World War I Flying Bomb"
"After the Allies landed in Normandy on June 6, 1944, the Germans unleashed their V-1 flying bombs against London. By the end of World War II, nearly 10,000 of the terror weapons had been launched against British targets. They were the first pilot less bombs ever used in war, but the very first such weapon (“unmanned aerial vehicle” in modern military-speak or, more commonly, “drone”) was actually developed more than 25 years earlier during World War I by the Americans. It was called the Kettering Bug"
"The production model flew at 50 mph and had a maximum range of 75 miles, exceeding the original requirement by 35 miles. The power to fly and operate the controls was provided by a 40-horsepower Ford engine, which cost $50, putting the total price per Bug at only $400. Including 300 lbs of explosive, its total weight was just 600 lbs." Crude, but cheap and effective. Could be built easily in large numbers for a low cost and capable of delivering a high explosive round on target of rather significant size. Technology of the period not adequate but the idea and concept was sound. AND IF CARRYING A CHEMICAL ROUND A WEAPON OF MASS DESTRUCTION AS WOULD HAVE BEEN UNDERSTOOD AT THE TIME! P.S. That $400 USD cost of a "Bug" in 1918 would be $6.600 USD today. Inflation. Consider this blog entry courtesy of an exhibit at the United States Air Force Museum, Dayton, Ohio, USA. "The Bordkanone 5, or BK 5 for short, was a 50 mm auto cannon intended primarily for use against Allied heavy bombers, especially the United States Army Air Forces's (USAAF) Boeing B-17." BK-5 as seen at the United States Air Force Museum, Dayton, Ohio, USA. A monster! GERMAN BK-5 50 mm CANNON. "The BK-5 was an adaptation of a tank gun and was intended primarily for use against Allied heavy bombers. Its magazine held 22 rounds and the gun had a rate of 45 rounds per min. BK-5 cannon were installed in some Me-410 twin-engine interceptors and experimentally in the Me-262 fighter, but the war ended before testing with the latter aircraft could be completed. Only about 300 of these guns were produced and combat usage was limited." "You might find Germany some jet airplanes equipped with anti-tank guns. Don't blame me for such monstrosities. This was done on the explicit orders of the Fuehrer. Hitler knew nothing about the air. He may have known something about the Army or Navy, but absolutely nothing about the air. He even considered the Me-262 to be a bomber and he insisted it should be called a bomber." - - H. Goering. DON'T BLAME ME, IT WAS THE OTHER GUY! Here with gratitude from several sources to include WIZARD and CORPORAL FRISK and the tip from Harry at Sharkhunters some details, Russian S-400 surface-air-missiles found to be less effective than thought. "When it comes to the defences, it is clear that the talk of the S-400 deployment in Syria creating an impenetrable A2/AD-bubble stopping western strikes was not correct." "While many of the earlier Israeli strikes had taken place in areas which present difficulties for the S-400 (and supporting shorter-ranged systems) to see and intercept the targets, the strike waves approaching over the eastern Mediterranean would be more or less the perfect scenario for long-ranged SAM-systems, and is very similar to the set-up of systems operating from Kaliningrad which often are described as being able to deny NATO access to the Baltic Sea. While it likely was political will that stopped the Russian air defence systems from being activated, the Syrians did their best, with around 40 missiles having been reported by Pentagon as fired. While it is not impossible that some of the cruise missiles were intercepted, it is clear from the pictures that even this barrage of air defence missiles was unable to serious lessen the damage suffered by the Syrians. A significant issue was likely that all missiles struck their targets"
S-400 not so effective after all when deployed in real-world conditions? Cross a duck with a turkey and you get an eagle? That is what some are going to say? Eagle Japan! "Lockheed Should Restart the Raptor Line If Japan Wants An F-22-F-35 Hybrid"
"Reuters has published a report that came as little surprise to us at The War Zone regarding Tokyo's interest in having Japanese industry work with Lockheed Martin to develop a semi-indigenous fighter that combines the best attributes of the F-35 Lightning and F-22 Raptor." F-22 and air superiority/supremacy fighter plane. F-35 that multi-role combat-aircraft [MRCA]. This story the origin of which is the media outlet Russian Times and as noted the Japanese for some time have had their own indigenous stealth fifth generation fighter plane design and prototype development project. What John Wayne did in the movies this man did in real life. The boy from Chicago who did good! Has now passed and we are all the worse for it too!! Iron Mike Mike Healy. Thanks to the tip from Freeper and all stand proud for the General. "A National Hero Dies; meanwhile, a National Disgrace ensues in the Tennessee Air National Guard"
"Last Saturday, retired Major General ‘Iron Mike’ Healy passed away at the age of 91. 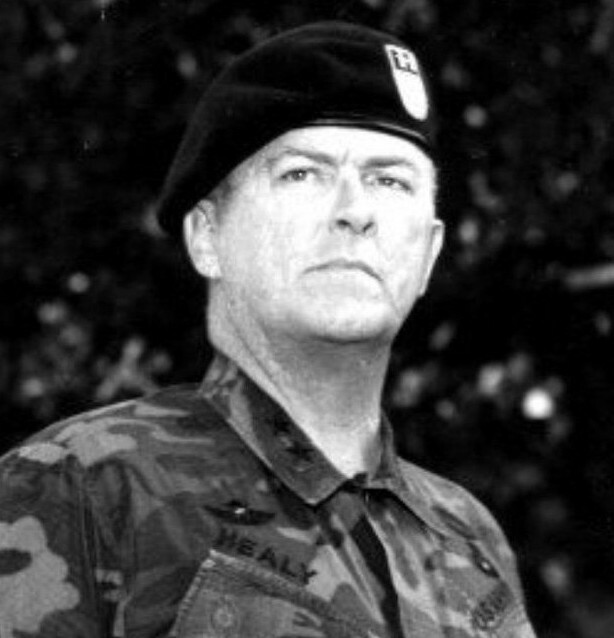 Healy, was a living legend in the Special Forces community; a veteran of the Korean and Vietnam Wars, he was the inspiration for John Wayne’s character, 'Col. Iron Mike Kirby,' in the 1968 film 'The Green Berets.' Major General Healy earned the nickname 'Iron Mike' while serving as a young officer leading Army Rangers on combat patrols deep behind enemy lines in Korea in the early 1950s. The nickname would follow him throughout his career, including during five tours — nearly eight years in all." I need not say anymore. 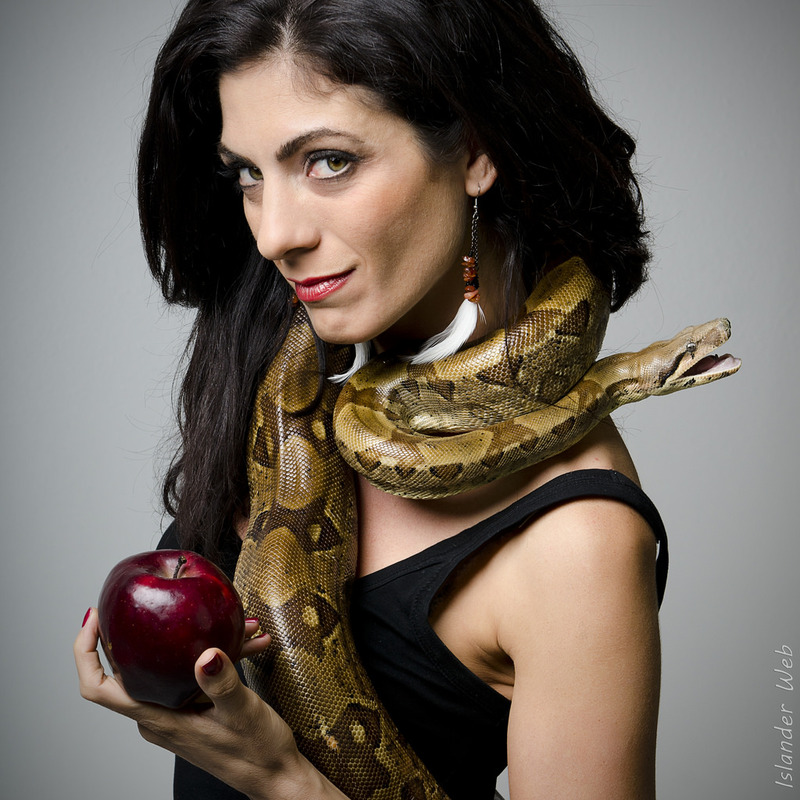 The CV [curriculum vitae] speaks for itself. YES, previous I was very skeptical. NOW I must give serious consideration to the matter. Fusion power as a do-able entity closer than we think? And having an aviation application? "China Touts Fusion Progress As New Details On Lockheed Martin's Reactor Emerge"
"Chinese state researchers and the multi-national corporation are both aiming to be first to develop practical fusion power sometime in the 2020s"
"China, which is reportedly hard at work on a host of advanced technologies for both military and civilian applications, has given foreign journalists a close look at its potentially revolutionary fusion energy project, which they claim has produced the longest man-made nuclear reaction of this type ever. The tour came as additional details have come to light regarding another advanced fusion reactor program at Lockheed Martin, which recently obtained a patent for portions of its own design." DESIGNS ON PAPER ARE NOT MERELY DESIGNS ON PAPER? SOMETHING MIND-BOGGLING AND EARTH-SHAKING IS OCCURRING HERE? WHO KNOWS! STILL I REMAIN SKEPTICAL. We have heard of Sandline. We have heard of Executive Outcomes. We have heard of Blackwater. We have heard of the Wagner Group. NOW hear of PMC Yakuza. Private military company Japan style! "Japan’s Yakuza wants to go legit with ‘private army’ business"
"The Japanese underworld is planning to branch out and provide bodyguards and security personnel for legitimate businesses in Southeast Asia, Japan's Flash Magazine reported citing the leader of a yakuza group." Yakuza Japanese gangsters. Organized crime contrary to popular opinion a phenomenon quite common in Japan. Yakuza noted for their strong-arm intimidation tactics, hired goons who use martial arts on you to enforce demands and refusals to demands. PMC an ancient and venerable tradition at least from the time of the European Renaissance and made famous by the Englishman John Hawkwood. Again PMC all the rage? 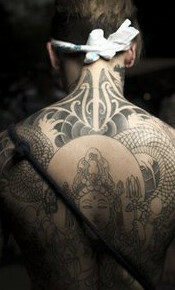 The yakuza gangster also very fond of and instantaneously recognizable by his many elaborate tattoo! Yet more from the outstanding Internet web site Scholars Stage. "Chiang Kai Shek's Gamble--Reviewing Shanghai and Nanjing 1937"
"The Battle of Shanghai was the first of the twenty-two major engagements fought between the National Revolutionary Army (NRA) of the Republic of China (ROC) and the Imperial Japanese Army (IJA) of the Empire of Japan during the Second Sino-Japanese War. It was one of the largest and bloodiest battles of the entire war, described as 'Stalingrad on the Yangtze'"
"In the end, Shanghai fell, and China lost a significant portion of its best troops, while also failing to elicit any international intervention. The resistance of Chinese forces, however, shocked the Japanese, who had been indoctrinated with notions of cultural and martial superiority, and dramatically demoralized the Imperial Japanese Army." Shanghai best described as "Stalingrad on the Yangtze"? NO! Consider rather the Battle of Taierzhuang! "The Battle of Tai'erzhuang . . . was a battle of the Second Sino-Japanese War in 1938, between the armies of the Republic of China and the Empire of Japan. The battle was the first major Chinese victory of the war. It humiliated the Japanese military and its reputation as an invincible force, while for the Chinese it represented a tremendous morale boost." Go see it all for yourself! Indeed, Taierzhuang quite easily can be seen as the template for the Soviet defense of Stalingrad and subsequent German defeat! From the Internet web site Scholars Stage some speculation. The Scholars Stage I recommend highly and without qualification. "Why Do We Know So Little About China's WWII?" "We know hardly anything about the war in China." "To give just one example, about 80,000 Chinese and Japanese soldiers became casualties during the first battle for the city of Changsha in September and October 1939 (there were three more battles for the city later in the war.) This is more than twice the number of total casualties on both sides during Operation Market Garden, the disastrous British and American attempt in September 1944 to penetrate German defenses in a bold airborne assault." That aspect of the Chinese [Nationalist and communist] troops during the Second World War not so widely known. In all historical accounts of the allied coalition in opposition to Imperial Japan the role of China generally seen as marginal as best? AND WHEN CONTRIBUTIONS OF THE NATIONAL FORCES UNDER THE COMMAND OF GENERALISSIMO CHIANG KAI SHEK CONSIDERED, THE NATIONALIST ARMY SEEN AS DEFENSIVE-ONLY MINDED, INEFFECTUAL, LACKADAISICAL, CORRUPT, WANTING IN SIGNIFICANT MEASURE! GENERALLY SPEAKING NOT WORTHY OF ALLIED SUPPORT! Even Chiang reputedly described as being more interesting in fighting Mao and his communist insurgent army than engaging in combat with the Japanese. NO! Consider just those major combat actions, Chinese and Japanese military forces in mortal combat prior to December 1941. Shanghai. Wuhan, etc. Epic battles major and to the death on a scale prodigious. The Chinese hardly slackers even in the slightest manner. The famous/infamous Japanese officer Tsuji rating the Chinese soldier # 2 in fighting ability, trailing only the Japanese. Fighting ability not defined in a clear manner but I surmise meaning tenacity! 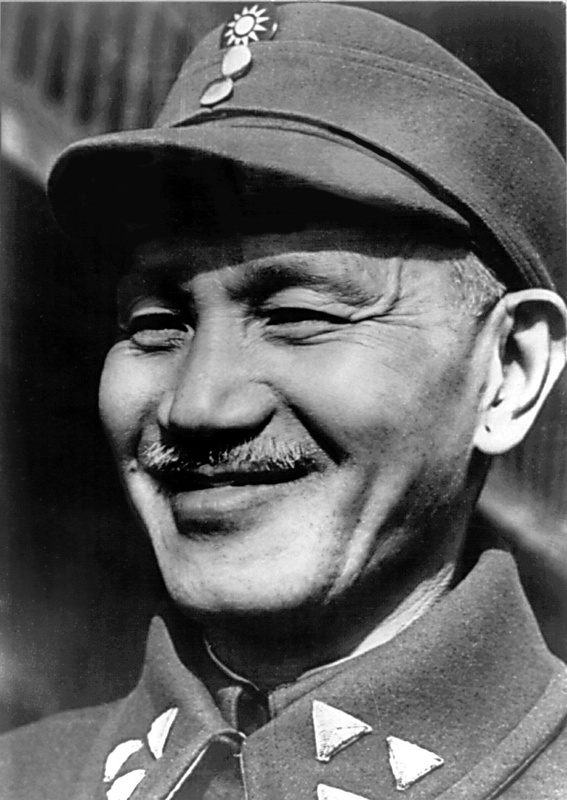 At least from my perspective the Nationalist of Chiang Kai Shek: 1. Doing most of the fighting against the Japanese. 2. Foreign expatriate elements to include journalists in favor of Mao and the communists numbering more than a few. 3. News and commentary of the Chinese [Nationalist] performance during the Second Sino-Japanese War and subsequent events deliberately distorted and skewed in a manner to created a bad image of the Nationalists. Deliberate and malicious distortions that tarnished Chiang and the Nationalists and do not allow for a proper evaluation of contribution by the Chinese to the war effort, before and after Pearl Harbor. Devoted readers to the blog can comment? Let me hear from you. Here as described a serendipitous scientific discovery with a military dimension. From Newser and the article by Kate Seamons and thanks to both. "Dendrochronology (or tree-ring dating) is the scientific method of dating tree rings (also called growth rings) to the exact year they were formed in order to analyze atmospheric conditions during different periods in history." "Nazis' Attempt to Cloak Its Ship Affected Norway's Trees"
"A German dendrochronologist stumbled on something puzzling while gathering wood cores on the Norwegian coast in 2016: some trees were missing rings. 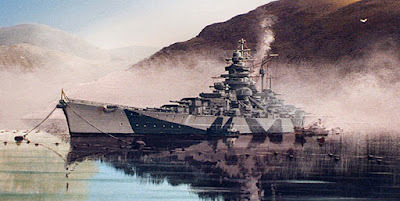 'We got back to the lab and measured the tree rings, and saw that they were very narrow—in some cases nearly absent—for 1945'"
CHEMICAL FOG AS USED TO CONCEAL THE POSITION OF THE MOORED GERMAN BATTLESHIP TIRPITZ CAUSING UNINTENDED ENVIRONMENTAL DAMAGE! "The Nazi ship released chlorosulphuric acid as a sort of 'chemical fog"to try to cloak it from aerial enemy forces, and Hartl now believes the acid caused damage to the trees' needles." Artwork courtesy of John Makin. Click on image to see an enlarged view. Tirpitz even when moored an operational threat to the Arctic convoy system, the transport of war munitions to the Soviet Union. Measures to conceal the Tirpitz from aerial attack to include the disruptive paint scheme of the ship, camouflage netting, smoke pots and "chemical fog" as it is referred to. To what extent "chemical fog" MORE EFFECTIVE than smoke [as given off by a smoke pot] I cannot say. Tirpitz throughout most of the Second World War EVEN WHEN MOORED AND NOT AT SEA deemed a significant threat for which extraordinary measures necessary. Efforts to sink or disable the Tirpitz the stuff of legend! I have been told that within a fifty-mile strip of land in northern France running from the English channel to the Swiss border a compass the use of more or less negated by the presence of so much steel in the ground, artillery bombardments of a prodigious nature from the era of the Great War to blame! Such as is what occurs during wartime merely from an environmental standpoint. NOT tearing down a monument BUT erecting one! Controversial figures from controversial wars the memory and perspective of events and personalities a mixture of good and bad as in the minds of the beholder. "Italy memorial to Fascist hero Graziani sparks row"
"A political row has erupted in Italy after a memorial was opened to fascist commander Field Marshal Rodolfo Graziani, a convicted war criminal." 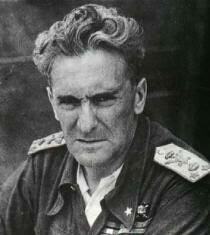 "Graziani was honoured with a mausoleum and memorial park, built at taxpayers' expense, in a village south of Rome." WE NEED TO BE CLEAR HERE. IN THE AFTERMATH OF THE SECOND WORLD WAR GRAZIANI CONVICTED AS A WAR CRIMINAL AND SENTENCED TO NINETEEN YEAR IN PRISON [SERVED TWO YEARS]! Chi ha capo di cera non vada al sole?? "SPECIAL STEEL FOR OZ BOATS - Steel makers Bisalloy and BlueScope have inked a new contract with Naval Group Australia to produce up to 250 tons of specialized steel. As informed, the steel produced will be tested to determine whether it meets the specification for the pressure hull of the Royal Australian Navy’s new Future Submarines, which is an essential safety requirement. Minister for Defence Industry, the Hon Christopher Pyne MP, said over the past 12 months Naval Group has been working with Bisalloy and BlueScope to develop and qualify Australian steel to meet the specification required for the submarines. The Future Submarine Program (SEA1000), which encompasses a total of twelve submarines, is worth AUD 50 billion [$39 billion USD]. Australia’s fleet of twelve submarines will be built in a new Submarine Construction Yard in Adelaide. The construction of the first submarine is scheduled to commence in 2022-"
From WIZARD through Harry at Sharkhunters some details of the Russian invincible and unstoppable hypersonic missile as President Putin has boasted about. "RUSSIAN JET FIGHTERS – In March 2018, the world learnt that Russia possessed the Kinzhal (Dragger) unique airborne hypersonic missile system designed to destroy ground and sea targets. The MiG-31 [Foxhound] supersonic long-range all-weather fighter jet developed by the MiG Design Bureau during the Soviet period and accepted for service in 1981 was chosen as a carrier for the new missile system." MiG-31 in this capacity a stand-off delivery vehicle. "The MiG-31 or the Foxhound as it is called in the West’s Aerospace Force but is still unique by its speed and altitude capabilities." MiG-31 a two-seat stretch-fuselage interceptor version of the MiG-25 flown to Japan by the Soviet era defector Viktor Balenko. "The fighter jet [MiG-31] can easily climb to an altitude of 25 km [82,000 feet] and accelerate to 3,000 km/h [1,800 miles per hour], after which the missile that reaches the point of its discharge within minutes starts its autonomous flight. Nuclear and conventional munitions are delivered to the target to a distance of up to 2,000 km [1,200 miles]. Moreover, the missile can deal a serious blow on the enemy without entering its heavily protected air and anti-ballistic missile defense system." Kinzhal has the appearance of an Iskander surface-to surface missile but apparently is a totally different design? Kinzhal is the hypersonic missile for which there is no defense and also for which the Russian has been boasting about? "The Kinzhal resembles an air-launched version of the Iskander short-range ballistic missile. However despite similar appearance it is a completely different design"
KINZHAL ALSO REPUTED NUCLEAR CAPABLE! So many actors on the stage at once! So many players on the field at once! You need a score card to keep track and even that not good enough! 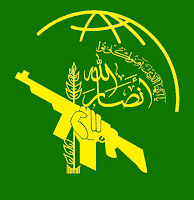 "Yemeni troops ambush Sudanese mercenary convoy in desert"
"Yemen’s Ansarullah fighters have killed dozens of Sudanese mercenaries hired by Saudi-the led coalition which is waging war against its war-torn neighbor." "According to Yemen's Arabic-language al-Masirah satellite television network on Saturday, the Sudanese forces were killed as Yemeni forces ambushed their convoy in the northwestern province of Hajjah." PROXY FORCES AS A MAJOR FACTOR IN THE YEMENI CIVIL WAR! AS IN SYRIA SO THE SAME IN YEMEN. DIVISION BETWEEN THE COMBATANTS THE AGE-OLD AND EVER-LASTING CONFLICT BETWEEN SHIA AND SUNNI! Everybody wants to be a SS Mann? Remember, this is all make believe! From the British media outlet Metro and the story by Richard Hartley-Parkinson. 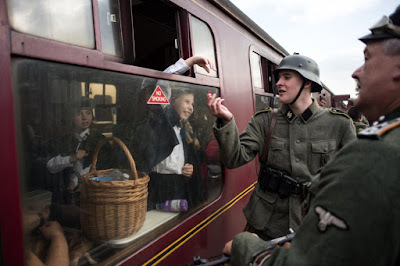 "War re-enactment weekend with actors in Nazi uniforms cancelled as it might cause offence"
"A railway which puts on a World War Two re-enactment weekend has withdrawn its invitation to people who dress as German soldiers following negative publicity. The North Yorkshire Moors Railway, which is a charity, said it was a ‘very difficult decision’ but the board was unanimous." That troop in helmet appears to have SS collar tabs? This is in part what the furor is about? Click on image to see an enlarged view. "For the last 12 years, its quaint station at Levisham has been transformed into ‘Le Visham’, a German-occupied town in northern France as part of a larger re-enactment weekend also involving Allied forces." EVIDENTLY Le Visham is NO MORE! Devoted readers to the blog will want to see my previous blog entries Rockford USA and WW1 Rockford. From the Free Beacon this report. Within the context of the present crisis between North Korea and the United States such a development might even be seen as ominous? "U.S. Monitoring Possible North Korean Military Base in Syria"
"U.S. Monitoring Possible North Korean Military Base in Syria Report: North Korea running underground military base in Syria . . . The United States is monitoring information indicating that North Korea may be running a large underground military base in Syria that could be used for advanced weaponry and nuclear-related work, according to regional reports and U.S. officials tracking the situation." THINK FIRST AND FOREMOST THE ISRAELI AIR STRIKE ON THE PURPORTED SYRIAN NUCLEAR REACTOR. A REACTOR ONLY IN A STAGE OF CONSTRUCTION AND ALLEGEDLY BUILT BY THE NORTH KOREAN. A PLUTONIUM PRODUCING FACILITY ATOMIC MUNITIONS TYPE BANG STUFF!! Now this. If at first you don't succeed, try and try again? I think a lot of persons find in very strange and peculiar for there to be a North Korean presence of what ever type in Syria! Body guards for Assad, free-lancers, hired-guns that I can understand. Major weapons development projects and facilities well beyond a small contingent of head-knocker thugs. A missile able to hit a missile. The bullet able to hit a bullet. Used to be thought to be impossible. No longer? Also consider the use of a surface-to-air missile [SAM] as a ballistic missile. A usage for which was never intended but seems now all the rage? "Intercepted Syrian missile carried 200 kilograms of explosives"
"IAF investigation into the interception of the Syrian missile reveals that ‘there were no dilemmas or questions’ when it came to the decision to launch the Arrow; ‘The missile was supposed to hit the Jordan Valley.’"
Syrian SA-5 surface-to-air missile [SAM] fired in the attempted shoot-down of an Israeli warplane on a course for impact within Israel close to a populated area. ISRAELI ARROW ANTI-BALLISTIC-MISSILE [ABM] INTERCEPTING AND DESTROYING. SA-5 NATO code named Gammon. Sold for export only to Syria and Libya. This not the first time a SA-5 missile intercepted and destroyed by Arrow. Two-hundred kilo grams = Four-hundred forty pounds of high explosive. A big bang! Admittedly this engagement with the errant SA-5 [having missed the intended target] was not an intercept of an on-course ballistic missile as that term "ballistic missile" generally, commonly and normally understood. But close! See previous blog entry, the South Korean Hyunmoo surface-to-surface ballistic missile a reverse-engineered knock-off of the American Nike Hercules SAM. Field-expedient, jury-rigged, cheap and effective? All rolled into one? Sounds too good to be true! "In the Wall Street Journal, Stephen Meyer Proposes an Intelligent Design for National Defense"
MISSILE DEFENSE AGAINST THOSE ICBM [INTERCONTINENTAL-BALLISTIC MISSILE] OF KIM IN KOREA AS AIMED AT THE U.S.
"Our [U.S.] existing ground-based missile-defense systems are designed to intercept intercontinental ballistic missiles during the later phases of flight. But missiles become harder to detect and destroy during later phases because they are colder, smaller, faster and capable of evasive countermeasures. Thus adding another layer of defense makes obvious sense." "The Pentagon’s Missile Defense Agency recognizes the need for boost-phase intercept capability and is developing a laser-based system. But the agency acknowledges it won’t be ready to implement until 2023 at the earliest. A drone-based boost-phase system can be developed within 18 months — soon enough to make a difference in the current standoff with North Korea." "Here’s how the new system would work: Drones would circle above the Sea of Japan at roughly 45,000 feet for shifts of up to 20 hours. Detection systems the Air Force already uses on surveillance drones would pick up North Korean missiles soon after launch. Once operators identify a missile on a dangerous course, new high-speed missile interceptors launched from the drones would destroy the ICBMs during the boost phase — ensuring that any debris would fall onto or near North Korean territory." A MULTIPLICITY OF SENSORS DETECT A NORTH KOREAN MISSILE MORE OR LESS AT THE TIME OF LAUNCH, NET-CENTRIC DATA WITH INSTANTANEOUS ANALYSIS ABLE TO PROVIDE TARGETING DATA. INTERCEPTORS OF THE ASAT VARIETY THAT ALREADY EXIST AND IN THE INVENTORY ENGAGE AND DESTROY? THIS IS NOW? BOYS! LISTEN UP CLOSELY AND PAY ATTENTION. Honey trap = "Using a beautiful seductive woman to solicit, obtain and get information for a government." Espionage Mata Hari style in the ancient and venerable manner but in the modern version done virtually using Internet social media..
"Intelligence: Facebook And The Virtual Honey Trap"
"In early 2018 Indian media reported cases of officers (one air force, one army) being arrested after getting caught stealing, or attempting to steal, classified documents for a girlfriend they met on the Internet (often Facebook). This is called a honey trap and usually involves a female spy befriending someone and seducing secrets out of him. But since Internet access via cell phones became so common in the last decade the 'virtual honey trap' has become more popular in many parts of the world. By 'virtual' is meant that military men, usually officers, are seduced by virtual women via social networks where the recruiters use photosand [?] talk of eventual physical contact in exchange for digital photos of documents sent via encrypted apps like WhatsApp. After some initial success the Indian military cracked down by ordering military personnel, especially those with access to classified data, to not use their real names or indicate they are in the military while online, especially on social networks. In addition rules forbidding having cell phones in areas where classified documents or activities are were more strictly enforced." Boys, the beautiful and seductive woman at the other end of the Internet conversation may not even be a woman! Boys, those applications [apps] and images you download to your smart phone may indeed contain malware of a bad sort. Your smart phone can be turned on from afar and used to spy on you and done in a manner you are not even aware of. Beware! Zero Hedge an Internet web site that publishes nonsense. Perish the thought? Unlimited power cheap with unlimited source of energy cheap. That combination sounds and probably is too good to be true. "Lockheed Martin Patents Nuclear Fusion-Powered Fighter Jet"
Lockheed Martin has secretly been developing a game-changing compact nuclear fusion reactor that could potentially fit into a fighter jet. The Maryland-based defense contractor recently obtained a patent associated with its design for a fully compact fusion reactor, after filing for the patent in 2014. If the latest patent from the defense company serves as a benchmark, nuclear fusion technology could revolutionize the aeronautic industry and eventually begin the quantum leap from fossil fuels to compact fusion reactors for the industry. PIE-IN-THE-SKY TYPE STUFF AS THEY SAY? FUSION REACTORS THE THING OF SCIENCE-FICTION AND NOTHING MORE THAN THAT. PROLONGED SCIENTIFIC EFFORTS AND RESEARCH PROJECTS TO PRODUCE A SUSTAINED AND CONTROLLED FUSION REACTION PRODUCING VERY MEAGER AND SCANT RESULTS BARELY EVEN THAT! AS FOR A WARPLANE PROPULSION SYSTEM THIS WILL BE A MIRACLE OF MIRACLES IF IT COMES TO PASS! Color me skeptical too! Dammit! Indeed! J.D. = Jihadi disease. Daesh = Islamic State. "What is the Mysterious 'Jihadist Disease' and How is It Treated?" "The so-called 'jihadist disease' unexplainably plagued the territories captured by Daesh*, causing its victims to literally rot from the inside out. An Iranian doctor and surgeon, Nasser Dehghani, told Sputnik about this unusual disease." "According to Dehghani, Leishmaniasis (a.k.a. 'jihadist disease') is one of the so-called "neglected tropical diseases" (NTDs) that haunts the poorest populations of tropical countries. Its spread is tightly connected to the living conditions and when they worsen drastically, for example as the result of war, an epidemic can break out, like what happened in Syria and Iraq. 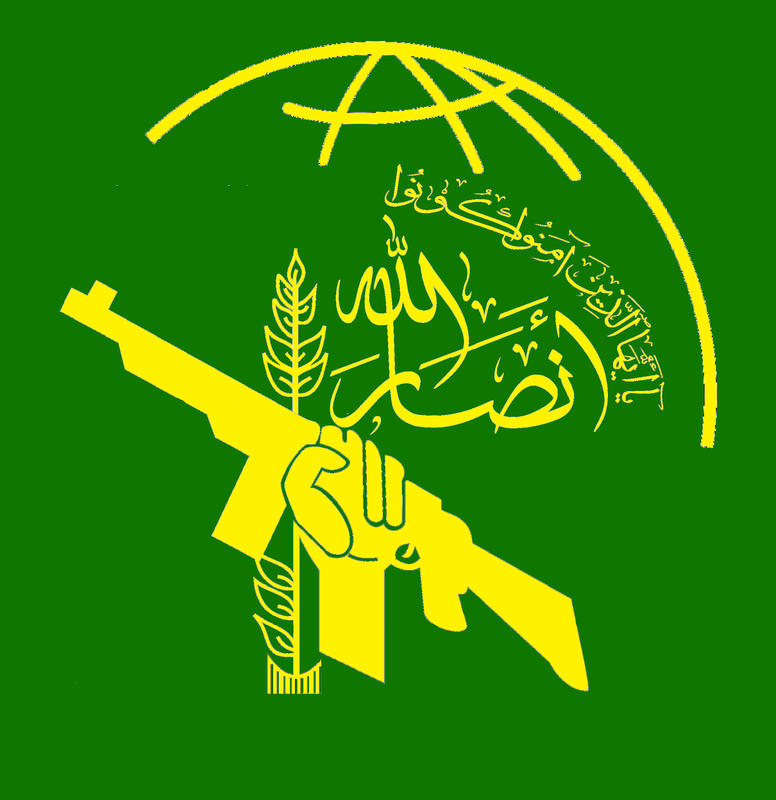 Thus it is not actually directly connected to the Daesh, especially considering the Iranian origins of the strain. But their actions did play a role in the outbreak." 1. Historically the two biggest killers in wartime have been water and feet. Either not having enough water to drink or drinking bad water. Feet the soldier not able to march and falling out from formation, set upon and murdered by local civilians, marauders, guerrillas. 2. These Islamic State combatants dispersed, defeated and are returning to nations all over the world and bringing the disease with them/ We have not seen the last of J.D.? 3. An important aspect of modern warfare prophylactic medicine in all forms to keep the soldier healthy and effective. The Manhattan Project we are familiar with. The project to build the B-29 bomber aircraft we are familiar with. The development of radar in all manifestations during the Second World War we are familiar with. That project to build the proximity fuse and deploy into combat during World War Two we are less than familiar with. THE PROXIMITY FUSE A WAR-WINNING TECHNOLOGY ON A PAR WITH THE ATOMIC BOMB, THE B-29 BOMBER, RADAR? THE DEVELOPMENT, MANUFACTURE AND DEPLOYMENT OF THE PROXIMITY FUSE BY THE ALLIES DURING WW2 A MASSIVE UNDERTAKING! "Over 2,000 American companies were mobilized to build some 20 million shell fuses." "The proximity fuse was one of the most important technological innovations of the war. It was so important that it was a secret guarded to a similar level as the atom bomb project or D-Day invasion." "These so-called proximity fuses, made in the United States... proved potent against the small unmanned aircraft (V-1)" - - Winston Churchill. "The funny fuse won the Battle of the Bulge for us". - - George S. Patton. "One of the most original and effective military developments in World War II was the proximity, or 'VT', fuse. It was of incalculable value to both the Army and Navy, and it helped save London from obliteration. While no one invention won the war, the proximity fuse must be listed among the very small group of developments, such as radar, upon which victory very largely depended." - - Adm. Lewis L. Strauss. PROXIMITY FUSE AS USED DURING THE BATTLE OF THE BULGE DONE IN DISOBEDIENCE TO DIRECTIVES. EFFECTIVE HOWEVER AND RECOGNIZED ALMOST IMMEDIATELY AS SUCH! Who is to Blame For Taiwan's Military Woes? The Official Publication of the History of the U-Bootwaffe!